Big thank you to everyone who participated in our If The Shoe Fits challenge. Congratulations, ladies! Feel free to grab our Top 3 badge from the side bar. There's still time to play our current challenge, called The Walking Dead. 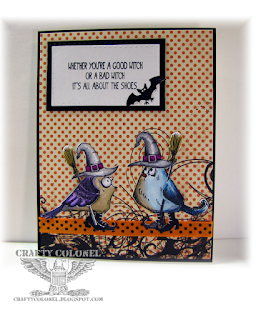 The link-up will be open until October 23rd, at 11:55 pm EST.